Maybe you like to stay fit by hitting the tennis court a few times a week. Or is a backyard catch with your son more your speed? 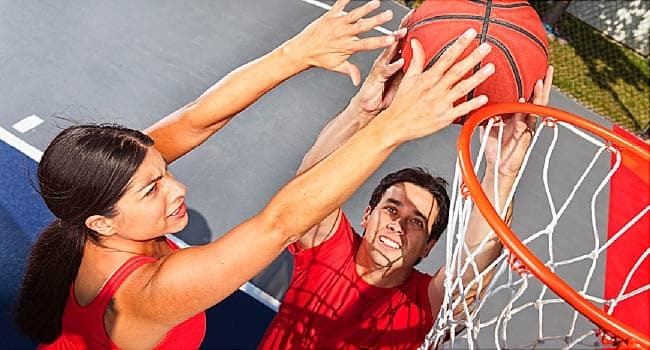 Whatever your sports passion, along with the health benefits comes a risk of injury that can lead to osteoarthritis (OA) later in life. Don't give up your exercise routine, but some smart choices now can reduce the chances of joint pain down the road. OA starts to develop when cartilage, the rubbery cushion that surrounds and protects your joints, gets damaged. Over time, your bones begin to rub against each other. If your cartilage trouble began after an accident or injury, like a broken bone or a torn ligament, it can lead to a type of OA known as posttraumatic arthritis. Experts estimate that it's the cause of 10%-15% of osteoarthritis cases. Most research on sports and arthritis has been done on the knee, says Guillem Gonzalez-Lomas, MD, assistant professor of orthopedic surgery at NYU Langone Medical Center. But similar injuries can happen in other joints, like the shoulders, ankles, hips, and back. One of the most common knee injuries is an anterior cruciate ligament (ACL) tear. Research suggests there's a link to it and osteoarthritis. One study shows that athletes who had torn an ACL at least 14 years earlier were three times more likely to have arthritis in their injured knee than in their uninjured one. This was true even though they'd had surgery to repair their ligaments. "There seems to be something about the moment the injury happens that causes bones to hit together and bruise," Gonzalez-Lomas says. "That's what raises your risk down the road, even if you recover fully." Minor injuries -- like tiny ligament tears that don't bother you at the time -- can also damage the cushioning between your bones. Because cartilage doesn't have blood vessels, your body can't easily deliver healing nutrients and replace damaged or dead cells. So instead of repairing itself over time, it continues to wear down. "You might twist your knee or land hard on your shoulder, and feel better after a week when the swelling goes down," Gonzalez-Lomas says. "But over time, that joint sees more and more stress. And years later, it starts to bother you again." Meghan Maher was a competitive ballet, tap, and jazz dancer until she started having knee pain at age 15. She was diagnosed with an alignment problem, made worse by her many years of strenuous practice, and had surgery to fix it. About 6 weeks into her recovery, Meghan's knee gave out. She fell and landed directly on her kneecap. "After that things really snowballed," she says. "I tried to go back to dance, but I was never able to return to the same level of activity." At 17, she had another surgery to replace damaged cartilage and bone. She felt better for a few years, but then the pain and swelling returned. At first, her knee only bothered her after a hard workout. Now it hurts when she stands for too long or walks up and down the stairs. This time, Meaghan's doctor used the term arthritis to describe what was happening. "It was definitely a shock," she says. "That doesn't seem like something that should happen to a healthy, active person in her 20s." Sports that involve jumping, twisting, collisions with other players, and quick direction changes are the most likely to cause injuries that lead to OA, Gonzalez-Lomas says. "We see it a lot with people who played basketball, soccer, and football." Cheerleading and gymnastics are also big sources of injury. But these activities also have benefits that may outweigh their risks. Any kind of exercise can help you maintain a healthy weight, which protects against arthritis. And if you play sports regularly it can also improve your strength and coordination, which may actually reduce your chances of getting injured in everyday life. Exercises that don't put stress on your bones and joints, like swimming, walking, and cycling, aren't as likely to cause injury. And even though running is a high-impact activity, most research shows it actually protects against arthritis, rather than causes it. To keep from getting hurt while playing any sport, always warm up with stretching and practice drills. When you learn techniques like how to pivot, jump on one leg, and land safely, your risk of injury goes down significantly," Gonzalez-Lomas says. "And if you can avoid injury, that goes a very long way toward not getting arthritis." It's important to strengthen the muscles around your joints, too. Not only can it protect against future injuries, but it can help you recover faster and more fully from past ones. When you build up muscle, it takes pressure off your damaged joints, which cuts down soreness and swelling. If you have strong hips, quadriceps, and hamstrings, for example, you'll feel less knee pain. "So even if an X-ray shows you have arthritis, you may not be as bothered by it," Gonzalez-Lomas says. Some people who get OA are able to manage their symptoms with pain and anti-inflammatory meds, and also regular exercise. Others may need surgery to replace badly damaged bone and tissue. Meaghan will soon undergo another operation -- her fourth in less than 10 years -- to repair several large holes in the cartilage beneath her kneecap. She hopes that this time, it will relieve her pain and stiffness for good. "As a dancer and an athlete, I took for granted being able to push my body to the limit," she says. "I'm looking forward to getting my active lifestyle back." Guillem Gonzalez-Lomas, MD, assistant professor of orthopedic surgery and sports medicine specialist, NYU Langone Medical Center. Barenius, B. The American Journal of Sports Medicine, March 2014. National Institute of Arthritis and Musculoskeletal and Skin Diseases: "Questions and Answers About Knee Problems." Fox, A. Sports Health, November 2009. Nationwide Children's Hospital: "Cheerleading Injuries: Risk Factors and Prevention Tips." Cajigal, S. and Allen, A. Medscape Orthopedics, published online August 7, 2007. Herman, K. BMC Medicine, 2012.